Earlier this year, Xiaomi launched the Redmi Note 5 Pro with the all-new Snapdragon 636 octa-core processor in India. Later, the device was launched as Redmi Note 5 in China. In India, the China-exclusive Redmi 5 Plus is renamed as Redmi Note 5. Talking about the Redmi Note 5 Pro, the device was initially launched in Black, Blue, Gold, and Rose Gold color options. Now, the company has launched the Red color variant in China. It comes with 4GB of RAM and 64GB of internal storage and is priced at 1399 Yuan (approx $215 / Rs 14,500). While the metal body and the hardware buttons come in Red color, the front panel is in Red color. Apart from the new color options, there is nothing new about this device. Unlike the Indian variant, the Chinese variant comes with better cameras and support fast charging via USB Type-C port. The Chinese Redmi Note 5 comes with a 5.99-inch Full HD+ (2160 x 1080 pixels) display with 18:9 aspect ratio. As said earlier, the device sports Qualcomm Snapdragon 636 Mobile Platform coupled with Kryo 260 CPU and Adreno 506 GPU. On the rear are the vertically stacked dual rear cameras along with circular fingerprint sensor. On the front is the 20MP selfie camera that also offers portrait mode and AI beauty mode. Though it runs on Android Nougat-based MIUI 9 out of the box, the company as already released the MIUI 10 beta update. It is backed by a 4,000mAh non-removable battery and supports dual SIM dual standby. Apart from the fingerprint unlock, the Redmi Note 5 (Pro) can also support face unlock. We don’t have any information about the availability of the Red color Redmi Note 5 Pro in the Indian market. Stay tuned on PhoneRadra for more details! 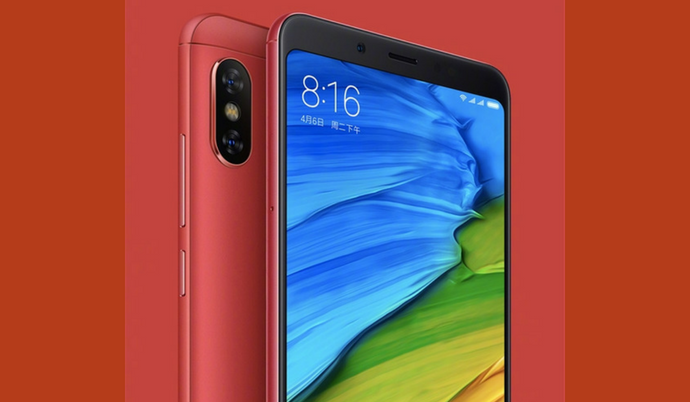 The post Xiaomi Redmi Note 5 (Pro) Now Available in Red Color in China appeared first on PhoneRadar.